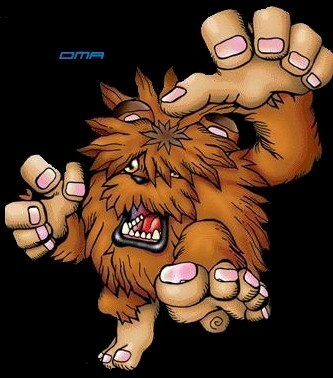 Rare Beast type Digimon that is a Mojyamon which has grown brown hair. He lives in warm jungles and eats "Orange Bananas". He has a free and easy nature; he does not like to fight. But he does not pardon those who enter his own territory which is his sanctuary.